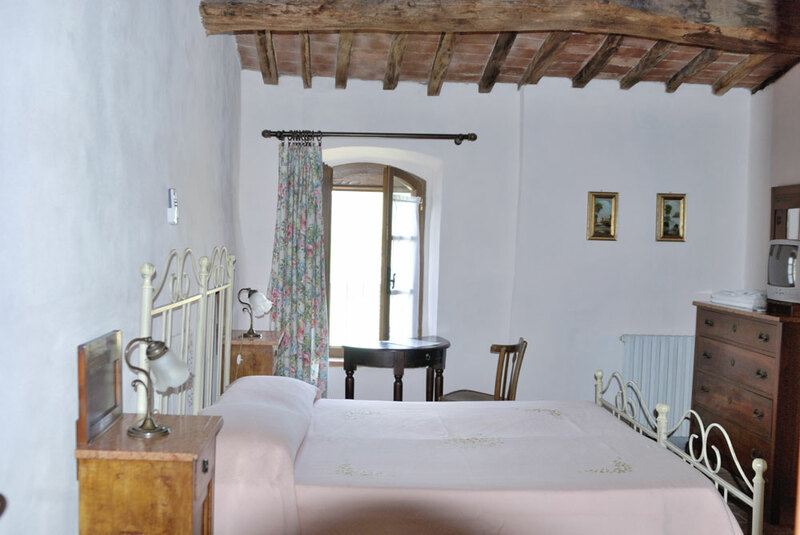 Pretty and highlight double bedroom on the first floor that overlooks the small village of Montemagno. 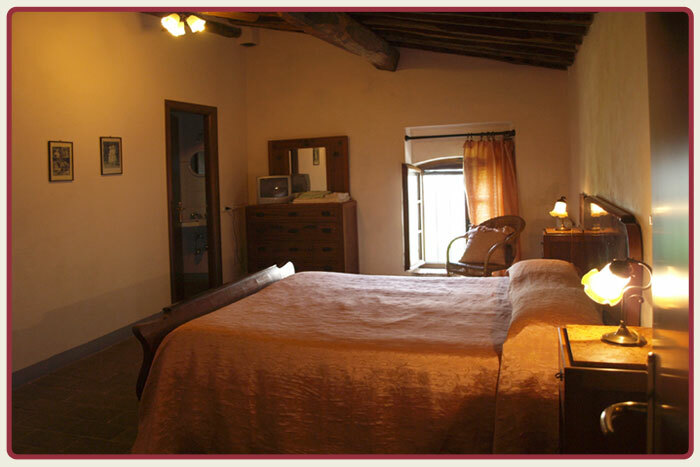 The room is complete with an ante-room with bathroom, linen, TV, roof fan, fly screens and heating. 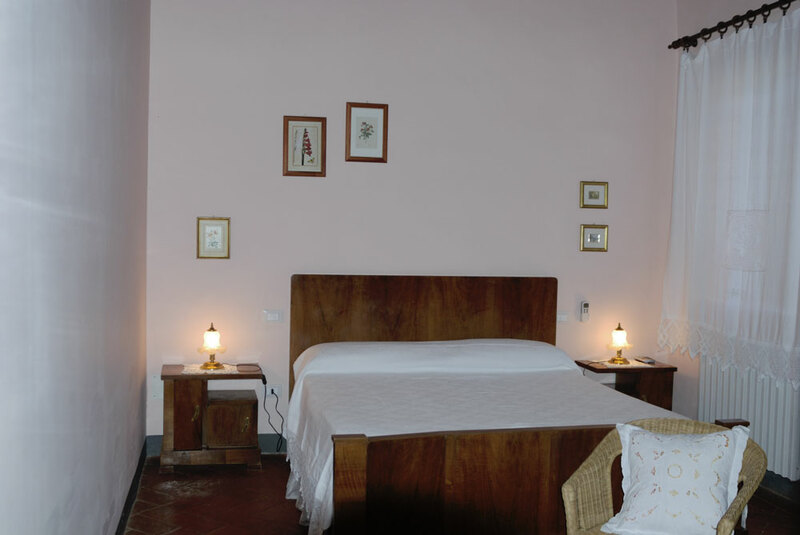 On the first floor, beautiful 3-bed room with original paintings of the 1700s, named after Silvestro Centofanti, famous philosopher, politician and writer who was born in the room on the 8th December 1794. 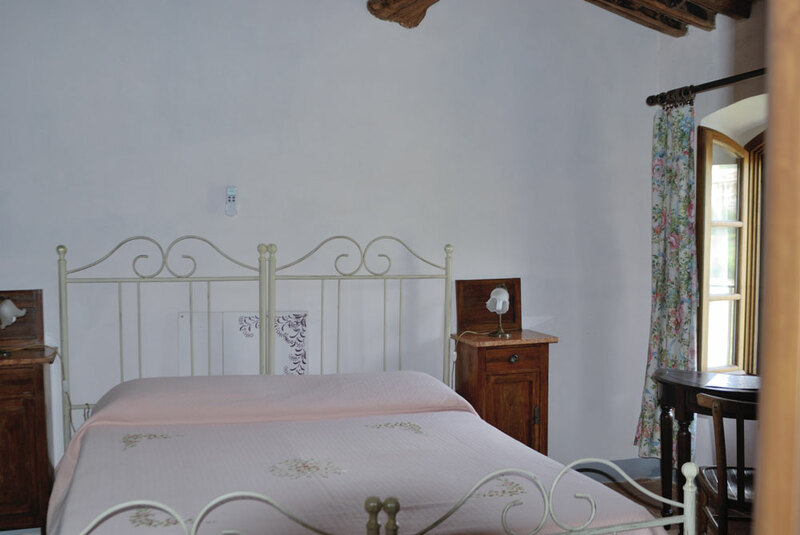 The room overlooks the garden and is complete with ante-room with bathroom, linen, TV, roof fan, fly screens and heating. 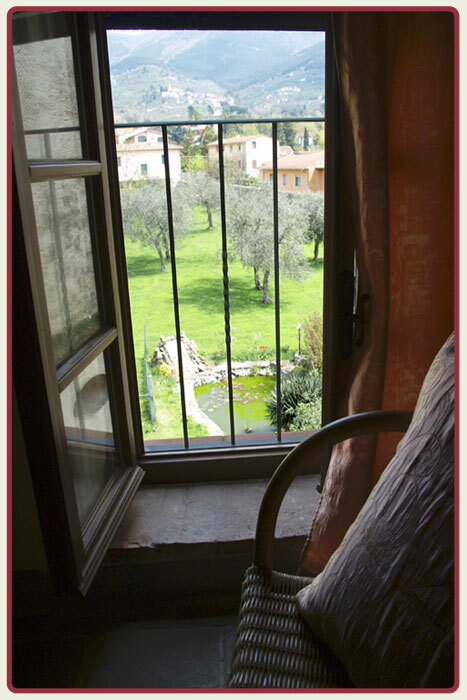 Delightful 4-bed room on the second floor of about 36 sqm offers a splendid view of the Certosa of Calci. The room has a canopy double bed and a bunk bed, which makes it ideal for the family. 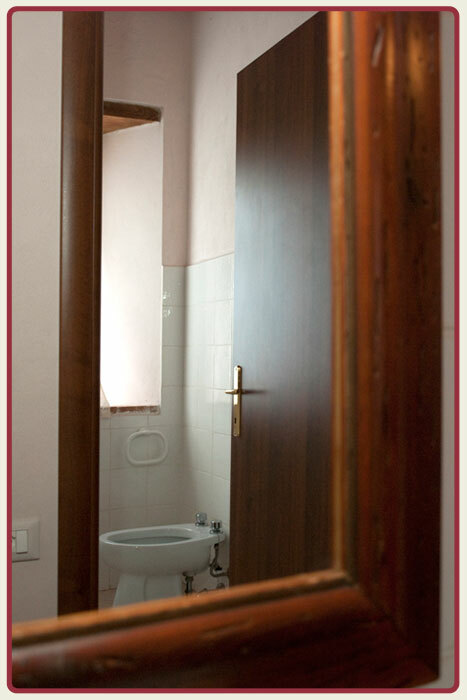 Complete with an entrance hall, ante-room with bathroom, linen, TV, roof fan, fly screens and heating. 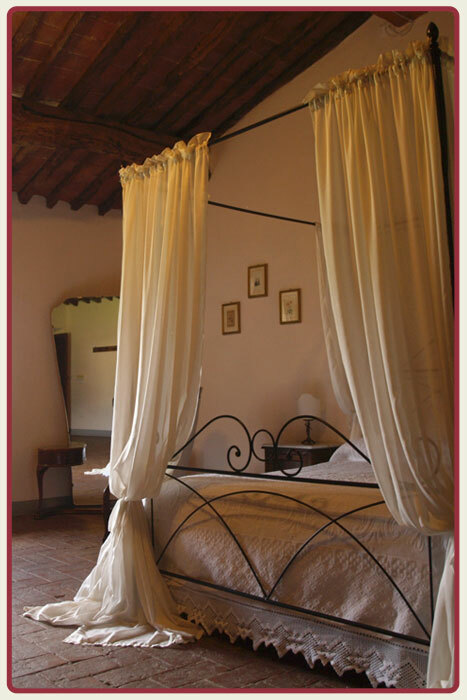 Romantic double room on the second floor, which is reflected in the small pond of water lilies and opens our eyes on a wonderful corner of the Graziosa Valley. 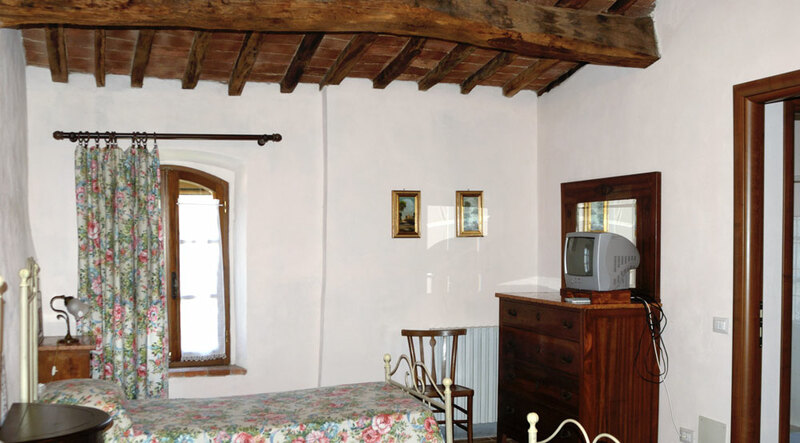 The room is complete with ante-room with bathroom, linen, TV, roof fan, fly screens and heating. 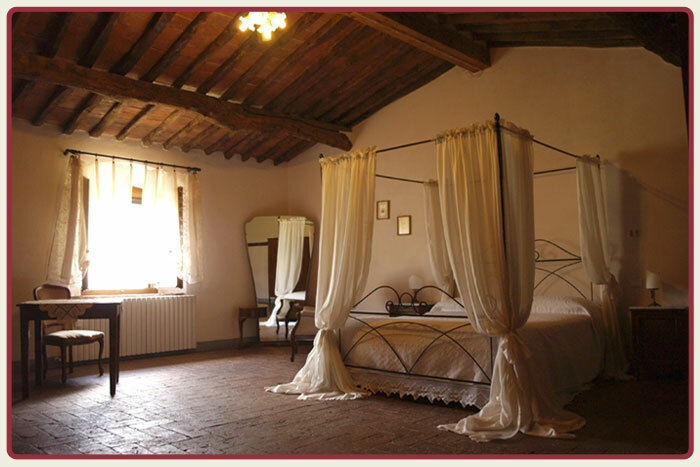 Quaint room with twin beds, or double (on request), a breathtaking view of the Certosa di Calci, complete with ante-room with bathroom, linen, TV, roof fan, fly screens and heating. On the day of arrival the room will be available by early afternoon. On the day of departure the room must be vacated by 10.30 am. 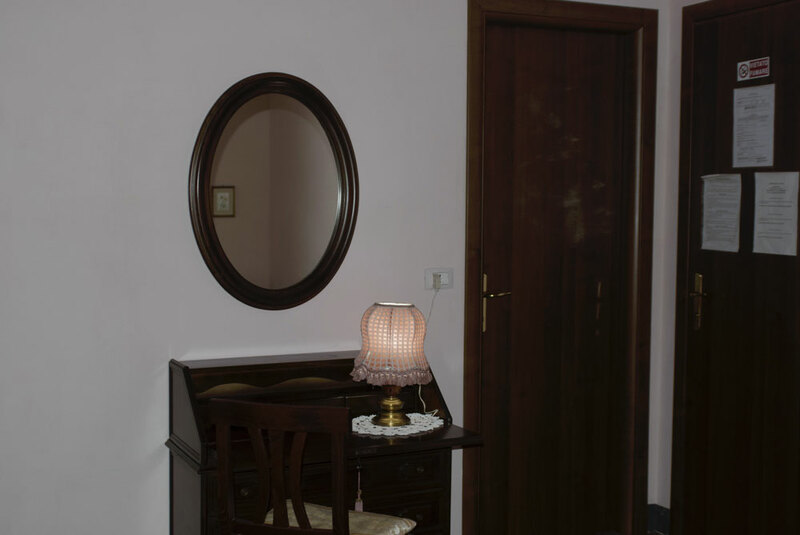 Cleaning of the room and change of linen is done on request of the guest. * The prices included the use of the swimming pool. 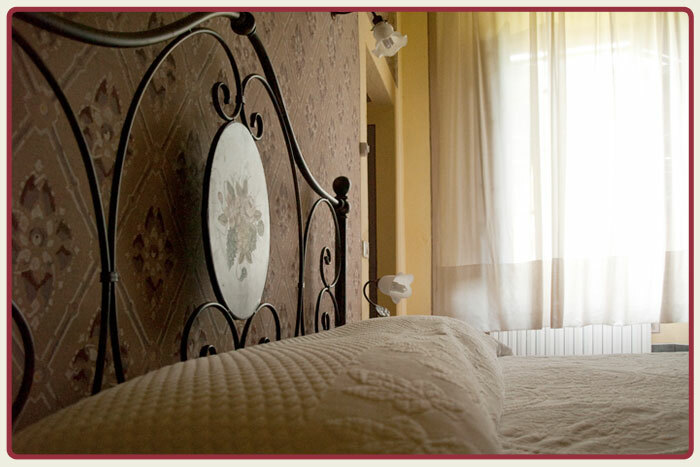 Possibility to add a bed: Baby’s Cot Euro 5.00 per day - Children between 2 to 5 years Euro 10.00 – Children between 6 and 12 years Euro 15.00. 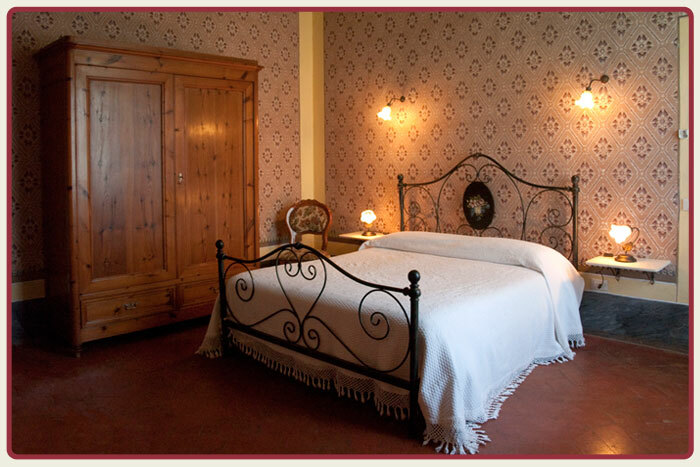 The cost of an individual room: Euro 50.00 per night. 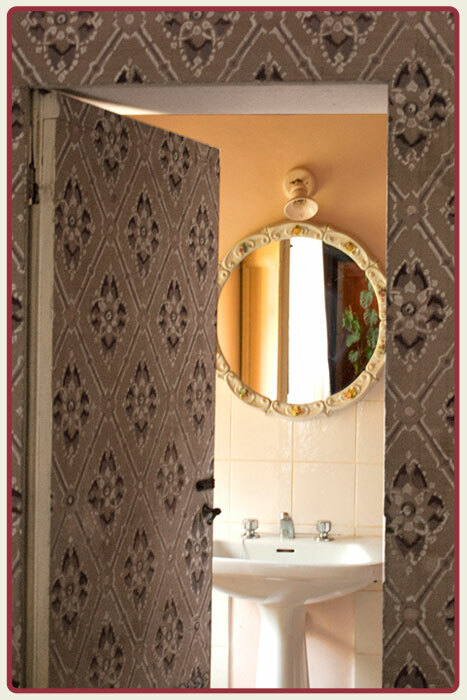 All prices include the use of ; kitchen, gas, heating, electricity, final cleaning, internal parking and the swimming pool. Swimming cap required. Please respect the swimming-pool rules. When the booking is confirmed, we require an advanced payment of 30% of the total cost. Please Note! Any reservation cancelled later than 10/15 days before arrival will require the payment of 30% to 50% of the whole reservation amount. * Prices vary according to the period.